An undercover investigation has revealed animals used at top tourist destinations in Egypt 'beaten bloody' by handlers. Now vegan charity PETA Asia, which took the footage, is calling for a ban on the use of working animals at tourist sites in the country. 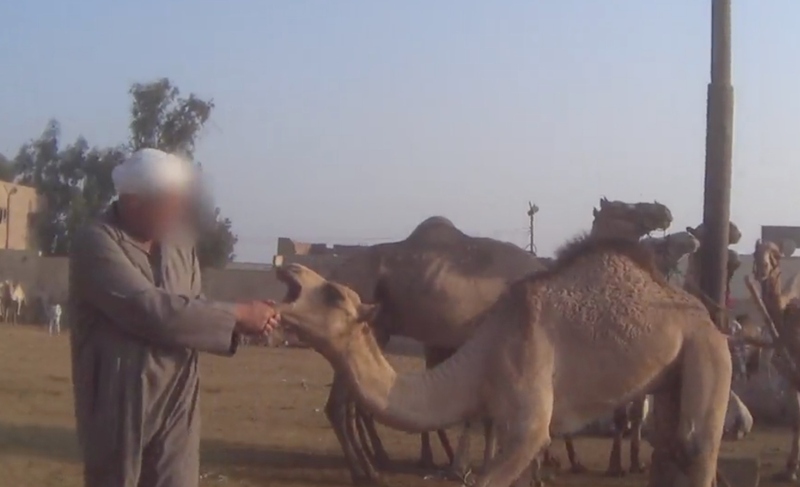 The charity adds that the video shows handlers in Giza violently beating a horse who'd collapsed on her side while being forced to pull a carriage, as well as men and children 'viciously beating screaming camels with sticks' until their faces were bloody at the Birqash Camel Market. PETA Asia has written to Minister of Tourism Rania Al-Mashat, calling on the country to use modern transport like electric vehicles, instead of animals, to move people around. "It's disgraceful that exhausted, emaciated animals in Egypt are beaten and whipped into giving endless rides in the heat, even as their legs buckle and they collapse," PETA Director, Elisa Allen, said in a statement sent to Plant Based News. "PETA is calling on the Egyptian Ministry of Tourism to replace these abused animals with modern vehicles such as electric rickshaws so that tourists can appreciate the country's rich history without supporting cruelty to animals." PETA adds: "Once the camels sold at the Birqash market are no longer able to give rides around the Giza and Saqqara pyramids, they're returned to the market and sent to be slaughtered."